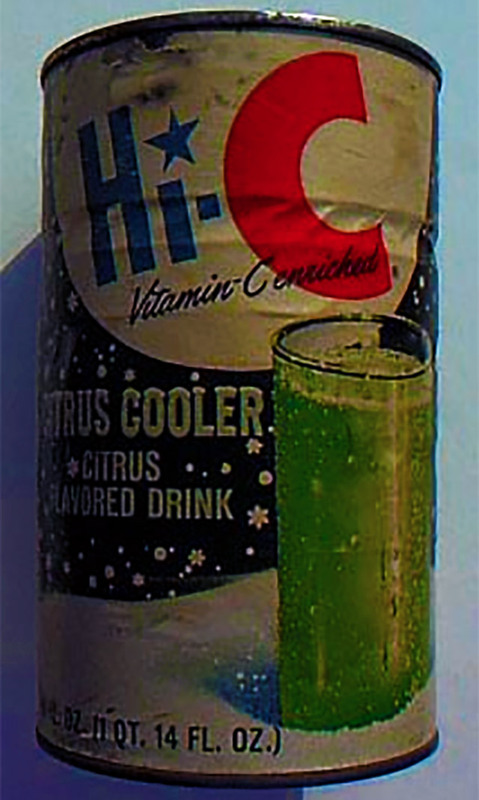 Before Ecto Cooler, there was Hi-C Citrus Cooler. | Dinosaur Dracula! 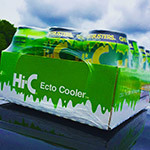 As most of you know, Ecto Cooler has retired again, with the remaining stock from its summer run now being liquidated at dollar stores and discount shops. Stock up while it lasts! 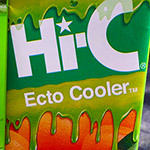 But here’s something that most of you don’t know: Ecto Cooler’s termination marks the end of a Hi-C flavor that can be traced back as far as the 1960s! 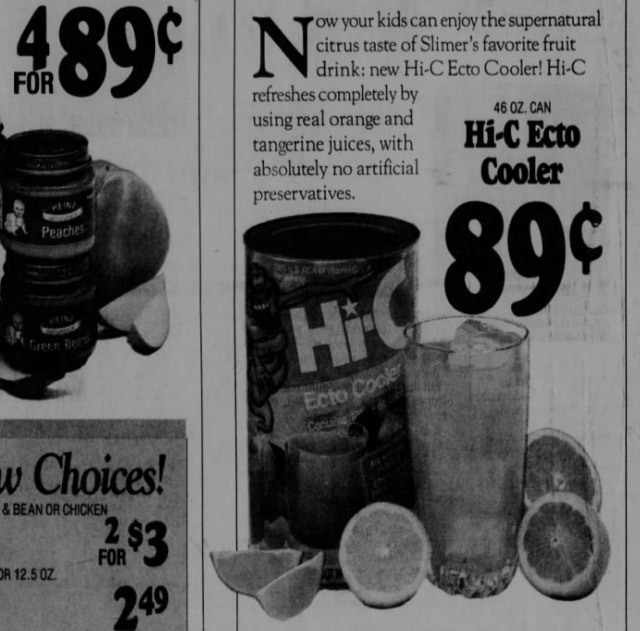 Yes, long before Ecto Cooler, there was Hi-C Citrus Cooler Drink. 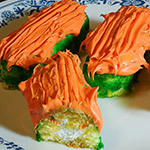 It even had the same ghoulish green hue! 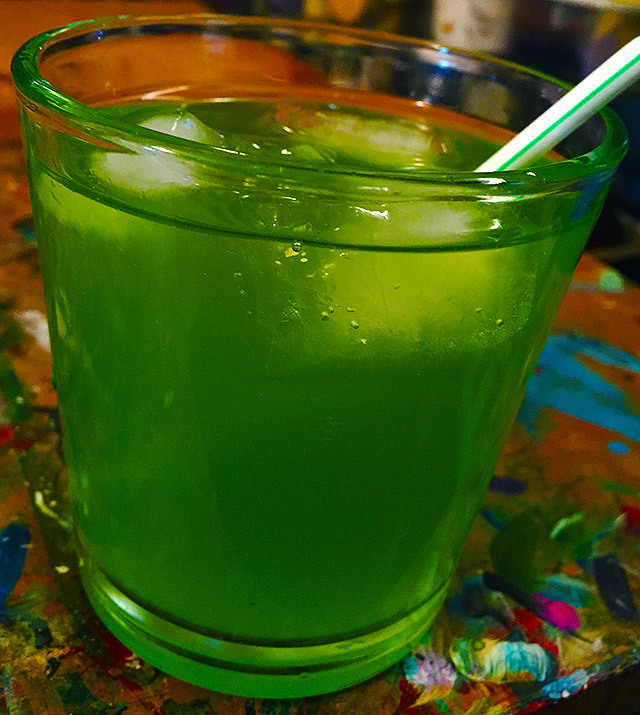 Now, was it exactly the same as Ecto Cooler? 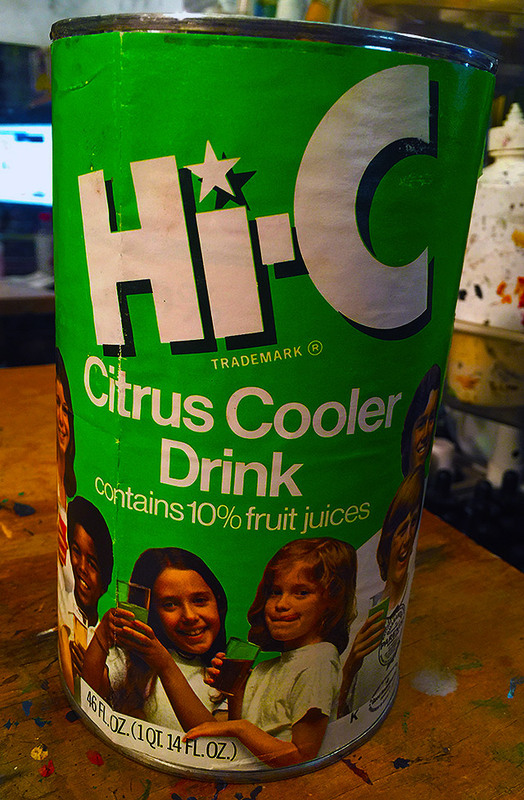 Until I find a label from a late ‘80s version of Citrus Cooler, that’s impossible to know. But there’s room for doubt. 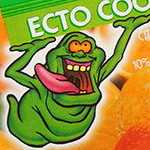 I can confirm that Citrus Cooler was an orange/lemon blend for at least a good long while, forgoing the tangerine additive that made Ecto Cooler so distinct. 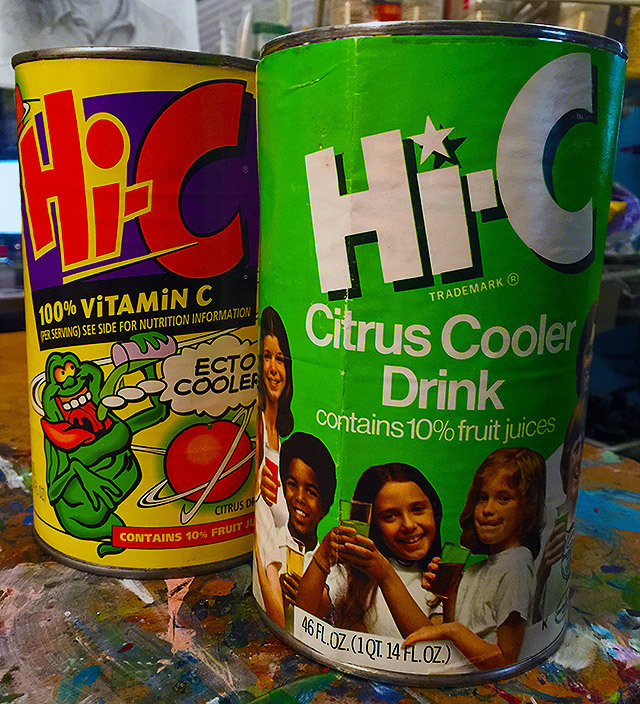 Hi-C also once had a totally separate tangerine flavor, so it’s possible that our dear Ecto was a weird amalgam of those two beverages. Still, there’s an undeniable lineage here, and it’s impossible to look at Citrus Cooler as anything but the Goldeen to Ecto Cooler’s Seaking. 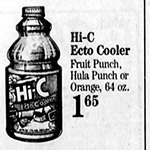 Citrus Cooler debuted in 1969, and remained a fairly popular flavor throughout the 1970s. At the time of its debut, weird green juice blends were actually in fashion, with several different beverage companies offering up their own versions. If you’ve ever skimmed through cookbooks from the ‘60s or ‘70s, you know that old ideas about fancy food are best described as “strange and gaudy.” People would mix three types of meat into the rough shapes of human heads, and then suspend ‘em in tomato gelatin. In that world, “green orange juice” hardly seemed odd. 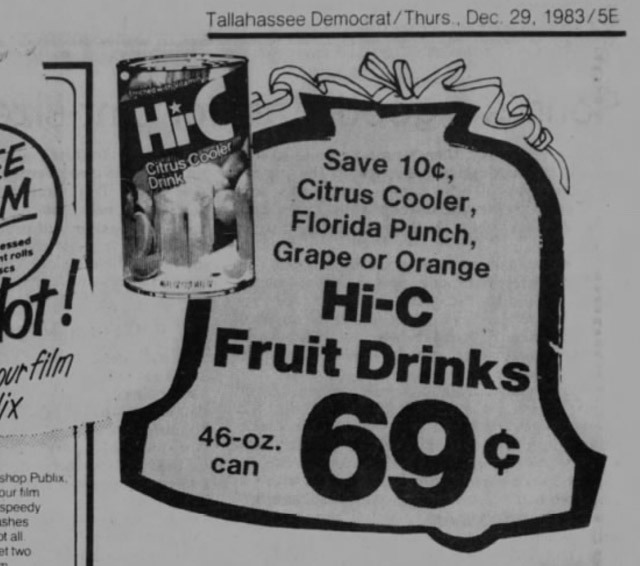 Citrus Cooler Drink even eked out a rare television appearance in 1989, turning up in a local ad for Eagle Food Centers. 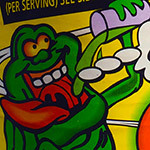 That ad would’ve been filmed just before Ecto Cooler’s arrival, and if you look close, you’ll notice that Citrus Cooler’s can design was almost a dead-on match for Ecto Cooler’s original labels. All it needed was Slimer! CONCLUSION: Coca-Cola may have tinkered with the taste, but we wouldn’t have had Ecto Cooler without Citrus Cooler Drink.